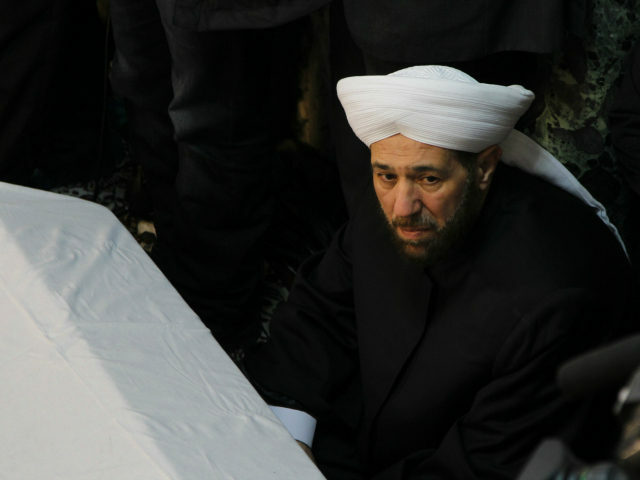 Syrian dictator Bashar al-Assad’s top cleric has reportedly issued a religious decree, or fatwa, ordering the tyrant’s military to “show us their rage in exterminating” civilians in the besieged and divided city of Aleppo. Syria’s highest religious authority, Grand Mufti Ahmad Badr al-Hassoun, handed down the religious ruling against civilians living in eastern Aleppo, which is the opposition-controlled area of the city, reports the Daily Mail. “I call upon the Syrian Army to show us its rage and I also call upon our leader to show us their rage in exterminating those criminals,” commanded the top cleric of the minority sect of Shiite Islam in Syria that Assad belongs to, according to the British news outlet. According to the U.K.-based Syrian Observatory for Human Rights, which monitors the Syrian conflict through a network of sources on the ground, residential areas in Aleppo have been shelled by both rebel and regime forces for more than 10 days. The civilian fatalities in Aleppo over that period alone have exceeded 250, including 80 women and children, declares the Observatory. On Saturday alone, 20 airstrikes rained down on the city, reports the monitor group. The bombing reportedly decreased on Sunday. Rebels, which include members of al-Qaeda’s Syrian affiliate, the Nusra Front or Jabhat al-Nusra, have also been accused in taking part in the massacre of civilians in Aleppo. Although Assad’s supporter Russia claims it is “working to freeze [the] fighting” in Syria, the Kremlin has refused to rein in its ally, notes Daily Mail. “No, we are not going to put pressure on [Assad] because one must understand that the situation in Aleppo is part of this fight against the terrorist threat,” reportedly declared Russia’s Deputy Foreign Minister Gennady Gatilov. Over the weekend, the United States reiterated its demand that Assad’s troops halt their bombardment of Aleppo. Secretary of State John Kerry flew to Geneva Sunday to discuss the Syrian conflict with the United Nations’s top envoy for Syria, Staffan de Mistura, and the foreign ministers of Saudi Arabia and Jordan. A new round of U.N.-backed peace negotiations are scheduled to begin in Geneva on May 10. The unraveling ceasefire between the Assad regime and so-called “non-jihadist rebels” that has been in place since February 27 managed to greatly reduce violence in the first weeks but has all but collapsed now amid fierce fighting in northern Syria. Both sides of the conflict in Syria have accused each other of breaching the truce, which held longer than many people expected. “A pro-government newspaper vowed on Thursday the army was preparing an offensive to recapture all of Aleppo [in northern Syria] and the surrounding province,” notes Daily Mail. At least 27 patients and doctors were reportedly killed by an airstrike that destroyed a hospital in Aleppo supported by Doctors Without Borders, officially known by its French name Médecins Sans Frontières (MSF). Local sources have blamed Russia and Syria for the deadly attack.